Beginning on his Feast Day of December 6 and continuing through the Christmas season, folks are put in mind of St. Nicholas, who comes in guises ranging from a red-suited elf to a retail pitchman. In reality, Nicholas was a Fourth Century Bishop of Myra, born in what is now southern Turkey, who personified the divine nature of generosity. As the Patron Saint of, among others, archers, bakers, bankers, mariners, merchants and pawnbrokers, he has myriad responsibilities, to be certain. Of course, Nicholas is best known as the Patron Saint of Children. At first, this may appear an impossibly eclectic group of things for one saint to represent. In particular, the idea that the same figure can oversee both businessmen and babies might seem a stretch. But there is something to Nicholas’ combined portfolio of commerce and kindness. Simply put, the more you give, the more you get. 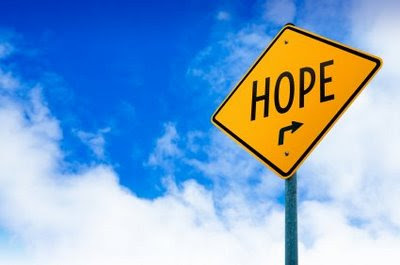 Economist Arthur C. Brooks has done extensive research on this counterintuitive phenomenon, noting, “It’s like the hand of God or something on the economy.” Brooks concludes that being generous makes people happier and thereby more successful. He stresses that a person does not need to be rich before he or she can benefit from giving. That is, kindness of spirit does the trick, no matter your tax bracket. Such is the example of this Bishop from a backwater of Asia Minor. Not much is known of Nicholas’ early life, but it is supposed that he grew up in great wealth and gave it away. One of the most commonly repeated tales of Nicholas’ generosity has to do with a poor father who could not afford dowries for his three daughters. As a result, the girls could not be married and would be sold into slavery. When Nicholas heard of this family’s trouble, he slipped three bags of gold through their windows and into socks that had been hung to dry. The relation of this tale to the modern practice of hanging Christmas stockings is obvious. The story’s more potent aspect is the virtue of showing kindness to people we don’t know, without expectation of recognition or reward. Each year at Christmastime, we are reminded of the value of giving by greeting cards, The Grinch, and ghosts of past, present and future. This year, the lesson may be more relevant than ever. World markets and economies have suffered as of late and this would seem an odd time to be generous. Who can think of giving when there may not be enough to cover one’s own expenses? But recent troubles should at least have relieved people of the illusion of control. That is, no amount of hoarding or responsible miserliness can protect against calamity – cash can lose its value as dollars are slugged by inflation, seemingly safe investments can be lost or stolen – and in any case, you can’t take it with you. So the choice for anyone – rich, poor, or at some point of transition between the two – is what type of person do you wish to be? 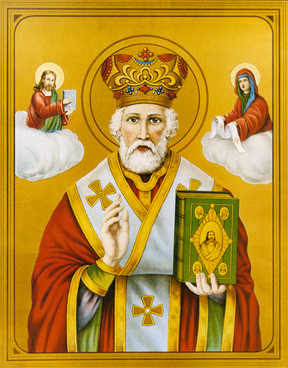 Unlike many saints, Nicholas was not martyred, although he was persecuted and imprisoned for his Christian faith. In this way, it is Nicholas’ life, rather than his death, that informs his legacy. To wit, while the catalogue of holy people is crammed with saints marching off to be killed in nasty ways, Nicholas demonstrated how to live. A wealthy man, he decided to make kindness his currency. The investment industry has a term for making statements in support of a stock you own: “Talking your position.” This is not necessarily a bad thing, so long as full disclosure is made, so let me tend to that straight away: The initial reason my attention was caught, and my dander raised, by the set of circumstances described below is because my first kids’ novel, Finn the half-Great, goes on sale this autumn. My published political views and this new foray combine to form the most unlikely of business card monikers: “Right-Wing Children’s Author.” But with those views in mind, consider that I am talking my position not only as a writer, but as a Canadian and a taxpayer. Canadian children’s publishing is a quiet, pleasant industry (I’ve only just arrived), so its stakeholders are disinclined to kick up a kerfuffle, but come along – 13 percent? 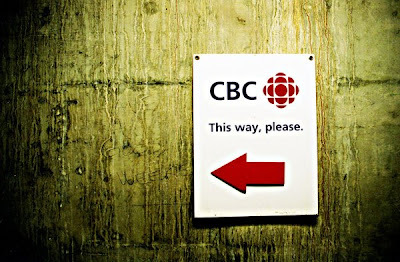 In a nation where private broadcasters are required to carry higher percentages of Canadian content in return for use of the “public airwaves,” one would expect a targeted, tax-funded program to include at least some sweetener to purchase home-made materials. I’m not a fan of “Buy Canadian” (or “Buy American”) policies, and I’ve often considered Canadian content mandates to be recipes for mediocrity. Moreover, I have opined in these pages against protectionism – recently and repeatedly. But when Canadian tax dollars are being used to buy educational supplies, there should be some incentive toward products created by the taxpayers. And not for nothing, if the objective is to educate Canadian kids, how about giving Canadian authors first crack at the task? There is another wave of funding coming from the Ontario Ministry this fall, as children return to school. The question becomes, then, how best to incentivize schools to buy Canadian materials? And before some bureaucratic smarty-pants suggests it, the solution is not to slap a tax on foreign books. If our experience with the broadcasting industry is any guide, this will just limit the market and lower the number of purchases. We want more books getting to kids, not less. How about adding 5 percent to the original discount for the purchase of Canadian books? That is, if there is some Dutch tome that a librarian feels the little darlings cannot live without, he or she should buy it with our blessing and, say, a $1 discount. If, however, there is a comparable Canadian book, make the discount $1.05. Perspicacious readers will point out that increasing the discount will simply cause schools to run through the allotted money faster, and that’s fair enough. So perhaps convince the federal government to waive the 5 percent GST on home-grown purchases, pointing out that they will make at least some of it back in taxes from Canadian publishers and authors. This is, of course, part of a larger and distinctly Canadian question: How do we support our national arts without creating an artificial industry and subsidizing work that cannot stand on its own? Whether because of the relatively small size of our market or an aversion to local talent, Canada has a history of artists needing to move away to find real success (I call this, “The Celine Dion Principle”). But we can kindle enthusiasm for our arts industry by giving kids Canadian materials – and this worthy program provides an opportunity to do just that. The Romans had a rule for those who would comment on departed foes: “Speak nothing but good about the dead.” So with the passing of US Senator Ted Kennedy, a man whose politics and personal life pressed the boundaries of that ubiquitous and respectful euphemism, “imperfect,” what to say? Must we overlook his excesses in remembering one of the most significant American politicians of the last half-century? While he is celebrated as the “Lion of the Senate” by those who admired him, as well as opponents who are being polite, perhaps it is fitting to consider Kennedy’s career more fully. Since Kennedy’s death, we have been reminded that on July 18, 1969, Mary Jo Kopechne died when the senator drove a car carrying the two of them off a bridge and into a tidal channel at Chappaquiddick, in his home state of Massachusetts. Rather than report the incident at once, Kennedy spent precious hours doing damage control with consultants as Mary Jo fought for air in the submerged vehicle. In the wake of Kennedy’s own demise, some say it is in poor taste to mention her – but why? What makes her life less valuable than his? Mary Jo would be 69 today, had Kennedy evinced nobler priorities. Instead, she died in that river while he went on to be “lionized” in the self-proclaimed “world’s greatest deliberative body.” Perhaps, as his defenders suggest, the incident at Chappaquiddick did not define Kennedy’s life – but it certainly defined hers. 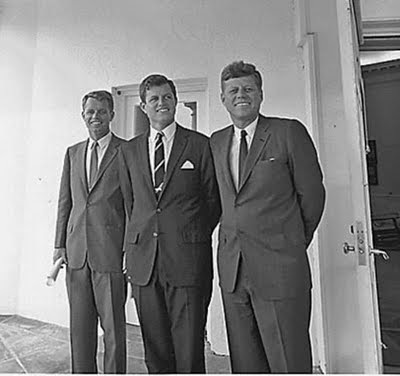 In the political arena, Kennedy’s career is often conflated with the Camelot mystique of his older brother, President John F. Kennedy. In reality, their policies were very different. While Ted was an unrepentant advocate of government intervention and income redistribution, JFK’s tax cuts exceeded even those of Republican White House successors like Ronald Reagan and George W. Bush. In foreign policy, JFK was a strong anti-communist who understood and articulated America’s unique responsibility to defend freedom in the world. Ted, meanwhile, adopted every tenet of the isolationist Left, from supporting the “Nuclear Freeze” that would have given the Soviet Union permanent military supremacy, to opposing the 1991 Gulf War. As to communism, Ted’s campaign to de-fund the government of South Vietnam in the 1970s was the most significant move, in human terms, of his career. Millions were murdered in the aftermath. To his credit, Ted sought to help Vietnamese refugees, known as “boat people,” who after years of bombing and war only took to the seas as the Northern communists approached. But with a little foresight, this tragedy could have been prevented. When a third brother, Sen. Robert F. Kennedy, was assassinated in 1968, Ted eulogized him in words adapted from another unapologetic leftist, George Bernard Shaw: “Some men see things as they are and say, ‘why?’ I dream things that never were and say, ‘why not?’” It was a magnificent, timeless address, suggesting a talent and intellect that one mourns in contemplation of what this man could have been. Different as they were, I hope Jack, Bobby and Ted are happily reunited in Heaven. Brothers are brothers and anyway, politics, like life, is one big best guess. It is said that when the Royal Library at Alexandria was burned down, perhaps by Julius Caesar in 48 B.C. or by the Bishop Theophilus or Caliph Omar sometime later (depending on which version of events you choose to believe), the progress of human knowledge was delayed by centuries. The library was the vision of Egypt’s King Ptolemy, who wanted to possess all the literature of the world, encompassing history, astronomy, mathematics and medicine. Nowadays, the notion of keeping the canon of the planet in one location and in tangible form seems quaint. 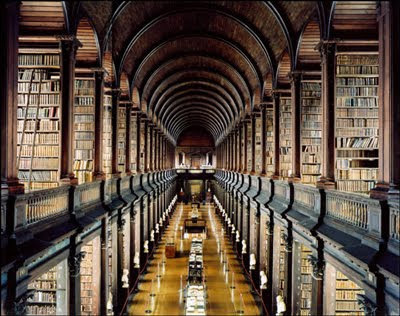 With our technology, we can access the learning of the ages from almost anyplace. For example, if you are reading this column anytime after August 2009 or anywhere besides a Canadian city, chances are you are seeing it on some lighted screen, rather than on paper. If a century or more has passed since these words were written and cross-time communication has been mastered, please email to let me know if the Leafs have won the Stanley Cup. Newspapers have been especially affected by the advent of the electronic age, in terms of relevance and revenue. With the egalitarian influence of the Internet, a respected reporter who has won several Frowning Beaver Awards for Serious Canadian Journalism may have less readership than some crank at a keyboard in his mother’s basement in Chatham, Ontario. And from a business perspective, how can they coax folks to pay for what is freely available? News Corporation Chairman Rupert Murdoch recently announced that the company would begin charging for all its online reporting, but this has already been attempted by publications large and small, without success. Many have supposed, therefore, that newspapers as we know them are doomed. What of books, though? My own book, Finn the half-Great, is juvenile fiction (which is also how some critics describe my newspaper columns). Books of this genre tend to sell moderately over time, rather than in large numbers when first released. As young people become increasingly inclined toward items that are electronic, rather than tactile, and making the massive assumption of at least a modicum of public interest in my tome, will it be more commonly read in print or on displays like Kindle and Sony Reader? While “E-book” sales represent maybe 4 percent of the total market today, convenience is a cousin to exponential growth. But is our information any safer now than it was at Alexandria? For all environmentalists’ insistence that we rely on windmills and hamster wheels to power our computers and gizmos, are these energy sources reliable? Or suppose some malefactor nation or group succeeds in detonating an Electro-Magnetic Pulse, which could permanently disable all electronic devices and communications over a continent-wide area. What then? How much of our accumulated millennia of learning could we recall and preserve through oral tradition, passing the Talking Stick from generation to generation as we re-build from scratch? With today’s technology, one can hold Ptolemy’s dream in a device. But information is not knowledge, and wisdom trumps them both. However we express ourselves and catalogue facts in years to come, let’s hope we hold on to timeless truths. A reminder of just how small and vulnerable we are – or, at least, of how humungous and dangerous the rest of the universe can be – came in recent days as a meteor hundreds of metres wide hit Jupiter, leaving a hole the size of the Pacific Ocean in the massive planet’s atmosphere. Jupiter is about 318 times the size of Earth, so if that collision had happened here, it’s safe to say the Canadian National Exhibition wouldn’t open on time this summer. 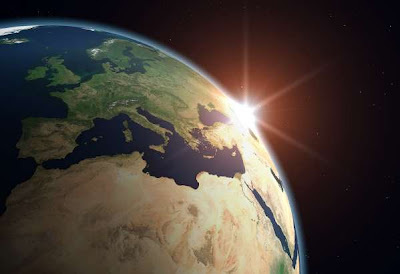 An enormous outer space smash-up puts into context some of the trifling issues that come in for wide-eyed seriousness and spittle-flecked rage here on Earth, from bike lanes to recycle bins and, especially, politics (as the saying goes, all maniacs are local). Moreover, it reminds us how little we can control, or even predict, in the darkness that surrounds us. A similar incident occurred in 1994, when pieces of the Shoemaker-Levy IX comet hit Jupiter, and astronomers supposed that such collisions only happened every few thousand years. It seems one of those Poindexters forgot to carry the remainder because a blink of an eye later, here we are again. This is, incidentally, what Jupiter does – it takes the hit for the rest of us. Its immense gravity pulls in debris left over from the creation of the solar system (whether it’s called a “comet” or an “asteroid,” the upshot is it’s a great big rock that can ruin your lunch plans), keeping other planets safe – usually. Perhaps it’s just as well we have no sway over the solar system. The smartest person you’ve ever heard of cannot tell you with certainty what the weather will be like a week from Tuesday or who will win the Stanley Cup next year. People are idiots, even the geniuses. Just as William F. Buckley famously said he’d rather have been governed by the first 400 names in the Boston telephone directory than by the faculty of Harvard, I’d rather take my chances in a cosmic shooting gallery than surrender control of the universe to the most brilliant man who ever lived. But there is comfort to be taken in the symphony of the cosmos. Jupiter plays its role as giant protector of smaller planets, giving us the luxury of eons to grow and learn, creating civilizations, countries, Pilates and fondue. In a dangerous galaxy, Earth is an oasis of existence, a walled garden, guarded by the heavens’ design – and that is an encouraging thought. The course of intelligence gathering never did run smooth. In the United States, this challenge is compounded by the imperfect dynamic between those tasked with protecting the country and liberal legislators who believe they are protecting the country from itself. The latest kerfuffle has Congressional Democrats accusing the Central Intelligence Agency of having a “secret plan” to capture or kill al-Qaeda leadership. To this, any reasonable person might respond, “I should bloody well hope so!” Who doubts that eliminating Osama bin Laden would be a good thing? And as for the plan being secret, what is the CIA to do? Announce on its website that, “agents with baseball bats will be waiting for bin Laden when he comes out of 31 Flavours this evening”? Folks who feign fright that the supposedly vapid Sarah Palin could have become vice president of the United States should consider that, as a Constitutional and practical matter, the Speaker of the House of Representatives wields vastly more power than the vice president does. And compared to Pelosi, Palin is Golda flippin’ Meir. Pressed for specifics, Pelosi was desolate, culminating in a painful press conference wherein the Speaker made Jon Lovitz’s truth-challenged “that’s the ticket” SNL character seem like the voice of authority. So, unable to answer questions about these unfounded allegations, what do Pelosi and the Democrats do? They viciously accuse the CIA of doing its job. 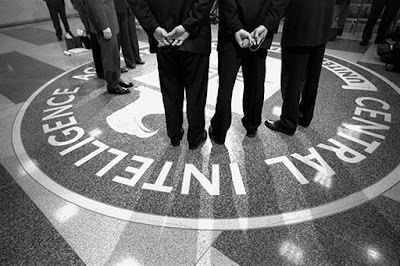 If the CIA were NOT planning to put the kibosh on terrorists who killed thousands of Americans and aspire to do so again, an overtaxed populace would wonder just what they were paying these eggheads for. The CIA is not perfect and its failings are highly publicized, from the inability to find WMD in Iraq to sending exploding cigars, Wile E. Coyote-style, to Fidel Castro in Cuba. But as Congressional Democrats question the agency’s honesty and candour, its operatives are risking their lives in locations around the world. There are 90 stars on a wall in Langley, Virginia, representing agents who have paid the ultimate price in defence of freedom. With this in mind, a little respect would go a long way. Now that Palin, the 2008 Republican vice presidential nominee, has announced her intention to step down as governor of Alaska with sixteen months remaining in her single term, she is once again in the spotlight (as if she ever left it). Some admirers tout Palin as a presidential candidate in her own right, but what is most striking about the Palin phenomenon is the viscerally negative reaction she engenders. I was in the hall at the Republican National Convention in Minnesota when Palin delivered her famous “pit bull” speech, and the atmosphere was extraordinary. But almost as soon as that night was over, Palin’s performance on the campaign trail, and her poll numbers, slumped. National media interviews exposed gaps in her knowledge and perhaps this was for the best. After all, if you can’t handle Katie Couric, how will you cope with Vladimir Putin? To that point, I wish Barack Obama had been subject to at least half the scrutiny Palin got. I don’t mean the personal attacks and cracks about her children, I mean the pointed questioning she received from Couric, Charlie Gibson and others. Left-wing media are a refining fire for conservative candidates. Liberals and Democrats have no such advantage. If more reporters had asked frankly of Candidate Obama, “Do you understand the basics?” he might have been better prepared when he attained America’s highest office. The unhinged hatred of Palin and idol worship of Obama are inverse symptoms of the same mass psychosis. As I have written before, if a commentator makes even the slightest criticism of Obama, he or she will hear at once from angry, glazed-over nutcakes, issuing pronouncements like, “Obama is building a new world for us all!” To those people I say, softly and with concern, you very badly need to get a life. And to those who’ve shown hatred toward Palin, I say you’re better than that. Do you really want to be part of a mob that goes after a woman’s teenage daughters and questions the parentage of her infant son in vicious terms? There are excellent reasons to oppose Sarah Palin becoming president of the United States, but many of her harshest detractors couldn’t tell you what they are. Ideas, not personalities; facts, not caricatures, should prevail in our public discussion. That may seem unrealistic and simple-minded, but the same can be said of politics. When catastrophe comes along, it opens a market for solutions. For the Republican Party, which has been shellacked in the last two American elections, this means every conservative with a platform is selling some prescription for a comeback. From David Frum to Rush Limbaugh to Newt Gingrich and beyond, there is no shortage of alchemists who claim they can convert the GOP’s recent lead-balloon performances into electoral gold. History will judge whether some, none, or all of these people were correct, but there is one advocate to whom Republicans pay particular attention: former Florida Governor Jeb Bush. As the son and brother of former American Presidents, Jeb Bush is a person of unique prominence and privilege. He is also anomalous among his Republican colleagues inasmuch as he has maintained some measure of personal popularity, while the party itself has fallen out of favour. Recently, at the Greenville, South Carolina, home of former U.S. Ambassador to Canada David Wilkins (who was appointed by the governor’s brother, President George W. Bush), Jeb Bush laid out his four-point plan for a Republican rebound. First, Gov. Bush advises that Republicans must recruit new, exciting candidates for the 2010 Congressional elections, while supporting deserving incumbents. Prosaic as this may seem, it is easier said than done. The GOP is in the minority and the tone in Washington, D.C, is as dyspeptic as ever, so it will take some doing to coax quality folks into the contest. As for supporting Republican incumbents, which ones are deserving and which should go? With the Democrats already within one Senate seat of a filibuster-proof majority, such decisions could mean the difference between a Republican comeback and irrelevance. Third, he urges the GOP to be forward-looking and eschew nostalgia: “As much as I love Ronald Reagan...the world has radically changed. The world is moving at warp speed and our politics is moving like a tortoise.” By focusing on today’s challenges, rather than the glory days, Republicans can reclaim their relevance to voters, Jeb avers. Finally, the GOP must, “Get better at the game.” Bush notes that his brother’s victorious 2004 campaign was the last 20th century-style election, with mailers and phone calls and traditional tactics. In 2008, the contest went viral, with Internet-based fundraising and organizing ruling the day. But as the game changed, the GOP did not, and the results speak for themselves. To regain power, Republicans must adopt modern methods. Jeb Bush’s plan, compact and cogent, is delivered with the calm objectivity of an accomplished fellow who is not running for anything in particular. No longer looking for votes, he is asking folks for nothing more than a few moments of their attention. But what gives Jeb Bush special resonance among Republicans? Some might suggest that he would never have been governor of Florida in the first place, were it not for his family name, and that’s fair enough. Even so, it was not his surname that achieved high approval ratings for two terms as he contended with hurricanes, health care and education reform, nor was it the Bush moniker that made him the only Republican governor to be re-elected in the Sunshine State. And it is not as though the Bush brand has been wildly popular in recent years. But just as his host in South Carolina, Ambassador Wilkins, was consistently more popular in Canada than the president who appointed him, so Jeb Bush has crafted a political identity that is distinct from those who share his name. In fact, if Jeb’s surname were anything but Bush, as the popular two-term chief executive of America’s most important swing state, he very likely would have appeared on the Republican presidential ticket in 2008. Folks reflexively ask if Jeb Bush will ever run for president. The answer is a definite maybe. At 56 years of age, he could toss his hat into the ring anytime during the next four or more presidential election cycles. Even if he were to wait until 2024, Jeb would still be younger than the 2008 GOP nominee, Sen. John McCain, was on Election Day. More important than the chronology is Jeb Bush’s sense of service. The governor plainly believes in working for the good of his nation, but he seems genuinely undecided as to if and when he will ever do so again in public office. Such thinking is consistent with the tenets of conservatism and citizen government, whereby individuals put forward the better angels of their nature as an onus of citizenship, not a function of getting elected. At the moment, the governor comments on those policy issues that mean the most to him, especially education, and he campaigns only for those Republican candidates in whom he truly believes. 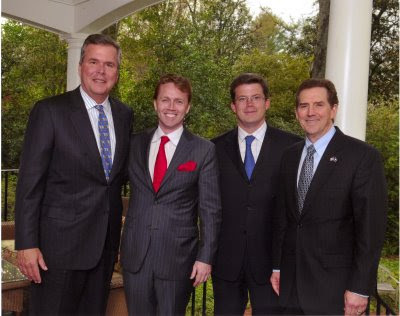 He receives many invitations to speak on behalf of the party, but he notes that as a private citizen, “I get to pick and choose.” Together with his son, Jeb Jr., the governor has founded Jeb Bush and Associates, LLC, which is involved in a variety of business projects, including infrastructure and consultancy. Through his years as governor and since rejoining the private sector in 2007, Jeb Bush has shown himself to be less a political family scion than a candid and clear policy advocate. Whether or not he holds office again, he remains a person of consequence. Management, Inc., is an investment advisor in the United States and Canada. In recent years, as brutal winters rendered the spectre of “global warming” a punch line, environmentalists have edged their argot toward the catch-all term, “climate change.” In the United States, a similarly subtle rhetorical shift has occurred regarding the so-called “Stimulus” package that President Obama and Democrats in Congress are pitching to the American people. This terminology adjustment is part and parcel with the political rudiment that whoever frames the question wins the debate. Throughout the sales process for this package, President Obama has chosen for his opponents straw men of his own design, refuting arguments that were never made. In his first White House news conference this week, Obama repeatedly chastised those “who believe we should do nothing,” as if opposition to this particular legislation were tantamount to declaring government has no place to address market failure. He spoke heart-wrenchingly of a school in South Carolina, where nearby train tracks disrupt classes, saying this package would help them. The president’s logic seems to be that if you oppose giving another $850 million to Amtrak, as the Reinvestment Act provides, ipso facto, you don’t care if kids learn to read. Indeed, alternatives to this package, including a prominent role for government, have been suggested and summarily rejected. Senate Republicans cobbled together a mere $445 billion proposal that began by considering the most pressing causes of the current crisis – the housing meltdown and credit market freeze – then determining what should be done to remedy them. 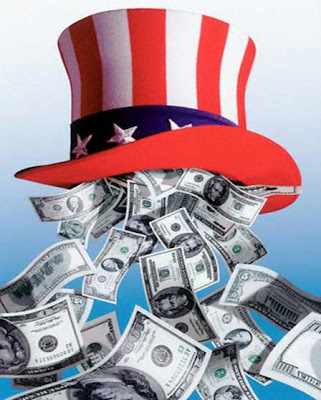 But Obama and Congressional Democrats prefer to stick with their method of dreaming up the largest dollar sum they can, then deciding after the fact how to spend the money. Further similarity to the environmental movement can be seen in the urgency with which the Reinvestment Act’s supporters press their case. There is no time to debate, environmentalists have warned for years, the planet will incinerate if we do not switch to hybrid cars and unicycles by the end of the week. 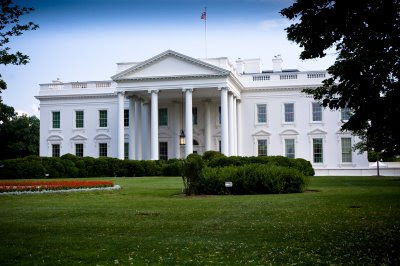 Likewise, Obama has set a deadline of February 16 for the Reinvestment Act, as though $650 million for digital TV coupons or $6.2 billion for the Weatherization Assistance Program could not wait one more day. But crying wolf on a mass scale is always a risky proposition. As weeks pass and birds aren’t bursting into flames in mid-air, more and more people begin to question the purple-faced predictions of the green-savvy friends in our midst. Similarly, if Americans discover that the Republic can stand until, say, March, without spending $7.6 billion on “rural community advancement programs,” Obama may have a problem. Speed and a lack of scrutiny serve the purposes of the Reinvestment Act’s advocates. For example, would House Appropriations Committee Chairman David Obey prefer America to linger on a bill that awards $1.7 billion to the National Parks System, for which his son, Craig, is the chief lobbyist? Most important, once this massive spending is enacted, Americans will be stuck with it for decades to come. In Washington, government spending increases are used as baselines for subsequent years, making huge expenditures very difficult to undo. As Milton Friedman observed, “There is nothing so permanent as a temporary government program.” If President Obama and Congressional Democrats insist on “reinvesting” in haste, the nation will repent at leisure. One hopes the January 27 Federal Budget will allow Canadians to keep more of their own money and invest it with confidence. 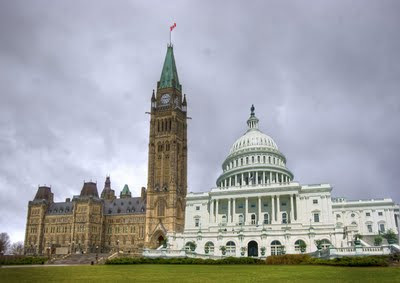 Cuts in personal and corporate taxes, as well as a holiday from the capital gains tax (which would be relatively painless, since not many Canadians are fretting about how to offset gains just now), would place billions of stimulus dollars in the hands of private citizens and go a long way toward helping our country through its economic troubles. While theyʼre at it, letʼs hope the government extends the end date for income trusts past 2011. Setting aside the questionable wisdom of cancelling the trusts in the first place, our economy was rather different when that decision was made. The price of energy was heading for the stratosphere and markets were in reasonable shape. It may seem awkward for the Tories to change course on this issue yet again, having repeatedly promised to leave income trusts untouched before reversing themselves completely, but inconsistent wisdom is preferable to intransigent folly. To wit, flip-flops can be forgiven, so long as you land the right way up. 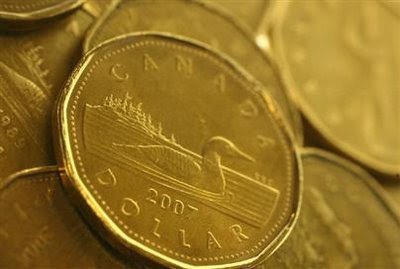 Finally, when it comes to letting Canadians keep their own money, donʼt gild the lily. Make a tax cut a tax cut, not a credit where a person has to reinvest in government-approved silly-bears then run to the Parliament Hill parking lot and touch the hood of Michael Ignatieffʼs Thunderbird before getting any benefit. For once, make Canadian tax relief comprehensive and simple. At noon today, Barack Obama becomes the 44th president of the United States. Here’s hoping that he is such a smashing success that he gets busted onto Mt. Rushmore and his face knocks Thomas Jefferson’s right off the nickel. The presidency is always a heavy burden, but I have profound respect and compassion for anyone who would take on the leadership of the free world at this particular time. The economy is in ghastly shape and, around the globe, very bad men continue to plot the death of civilians in general and Americans in particular. Here, one might cue the rubbish and rhubarb about how badly George W. Bush botched the last eight years, getting the nation into this fix. But many of these problems were decades in the making and are larger than one man. In any case, as the United States turns the page, one hopes the 16-year national pastime of hating the president (Bush Derangement Syndrome having been preceded by two terms of Clinton Hatred) is at an end. Right now, America needs a president who has the endorsement of a majority of its citizens. Whatever your politics, Obama is that man today. The foreign and domestic problems facing the United States are such that a peaceful consensus is a necessary first step to solving them. Whether folks supported candidate Obama or not – and few commentators in Canada were as critical of him as I was – he is president now and we will all be better off if he does well. I was wrong about Obama in many ways – not least, about his prospects for getting elected – and I hope I continue to be. To wit, he has shown signs of being a thoughtful pragmatist – advocating business investment tax cuts and retaining Robert Gates as Secretary of Defense, for example – rather than the left-wing ideologue he seemed to be during the primaries. Moreover, he has already made many of the right people mad. Rep. Barney Frank (D.-MA) is upset that Rev. Rick Warren is giving Obama’s inaugural invocation; Sen. John Kerry (D.-MA) is upset that he is not Secretary of State; Sen. Harry Reid (D.-NV) is upset about being Sen. Harry Reid (D.-NV). With these folks up in arms, Obama is off to a good start. He has reached across the aisle, attempting to secure Republican support for his proposed stimulus package. To be sure, this is largely a political manoeuvre, to provide bipartisan cover for the 2010 midterm elections in case the legislation fails to right the economy, but it is a sensible approach. A week ago, Obama had a two-hour private dinner with conservative commentators at the home George F. Will. It was an informal, off-the-record meeting for the purpose of exchanging ideas. Such early-administration overtures have been tried before with middling success – recall Bush inviting Sen. Ted Kennedy to the White House for movie night in 2001 – but it is still the right thing to do. Over the next four or eight years, there will doubtless be cause to criticize Obama, and I will likely sing a solo or two in that chorus. I prefer to think that such disagreement, whenever and for whatever reason it comes, will be based on legitimate policy, in contrast to partisans who refuse to give the man a chance. Step-on-a-crack silly-bears is no kind of loyal opposition. For example, to those conspiracy-minded stragglers who still obsess over whether Obama was born in Hawaii or a manger in Burkina Faso, I suggest moving on. The Constitution and people of the United States are satisfied that Obama is a natural-born citizen and anyway, what a man chooses to do with his life means more than how and where it began. 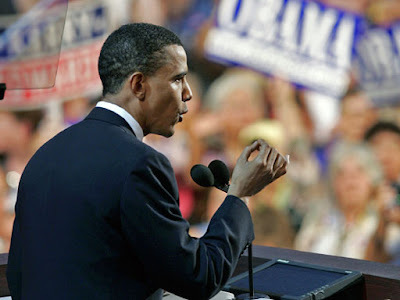 Obama is a bona fide success story and his opponents would do well to recognize his qualities. On his first day in office, there is such widespread adoration for the man that one wonders: Whither Obama’s admirers when it is revealed, inevitably, that he is less than perfect? No one can know for certain, but loyal Americans, and all those who hope for peace and freedom in the world, should wish this new president Godspeed. Faces here are filled with sorrow and resolve. Israelis know they are in the midst of a war they must win, waged by the most beloved among them – the young. Quite reasonably, one might ask about the plight of Palestinian children, and it is a cruel irony that they are victims of the same violence. If only the grown-ups influencing them placed the same priority on barring hatred from their hearts. Instead, they are inculcated with perverse histories and vicious notions of murder and martyrdom from their earliest years. World opinion has long since swayed in favour of creating a Palestinian state. The outgoing and incoming presidents of the United States, as well as leaders in Canada, Britain, and many citizens of Israel are on board with the concept, provided it can lead to some good end. No one needs another Syria – or worse – on Israel’s border, and it would be naïve to assume that simply conferring statehood on the current arrangement would quell the violence here. So to whom would the state be granted? To Hamas, the Palestinians’ elected leaders who have launched 3,000 rockets at Israel in the last year alone? How about no. Indeed, one of the saddest aspects of the current conflict is the waste that the Palestinian leadership has made of the Gaza project. When Israelis withdrew completely from the territory in 2005, they left behind greenhouses, infrastructure and the makings of a community. Within days, however, Gaza became a staging ground for rocket attacks on southern Israel. The greenhouses are gone and the misery has returned. As much as many of us advocate the creation of a Palestinian state, we must recognize that no responsible Palestinian leadership exists to shoulder it. A woman in Jerusalem echoed former Israeli Prime Minister Golda Meir in lamenting, “We can forgive the Arabs for killing our children. We cannot forgive them for forcing us to kill their children.” As Meir perhaps had done, the woman spoke the first of these sentences with sadness; the second, with a touch of anger. Certainly, there are Palestinian moms and dads who care for their children, just as Israeli parents do. Trouble is, those decent folks have no voice in their leadership. In Israel, meanwhile, the armed defense of the nation touches parents deeply. Military service is prevalent in this country, where young people perform a mandatory three years, and decades in the reserves often follow. All over Israel, families are fretting for loved ones in harm’s way, as active duty troops have been deployed and tens of thousands of reserves have been called up or notified to prepare. With parents desperately worried, the Israel Defense Forces have taken the precautionary step of confiscating cell phones from troops. There are two principal reasons for this. First, it is a case of good old-fashioned, “Loose lips sink ships.” To wit, even the most innocent revelation of military locations can be overheard or intercepted and lead to lost lives. Second, there is no percentage in having panicked parents all across the country. Knowing that their grown children are without means to communicate, Israeli parents do not want their phones to ring, as they assume it can only be bad news. Such is the reality for families here. Israelis accept it with courage and determination. Most important, even as they live in the shadow of death, they teach their children to love life. JERUSALEM -- Israel’s determination to continue its military campaign against Hamas terrorists in Gaza, despite tragic civilian losses, serves as a reminder that peace is the second-most important goal of geopolitics. Only freedom – which for Israelis means the elemental liberty to exist – matters more. Ideally, of course, Israel would like to have both. Decent folks yearn for peace just as all people thirst for freedom, and it is truly tragic when leaders are forced to choose between them. Over more than six decades of conflict with murderous neighbours, Israel has tried numerous tacks, from bursts of astounding force, to occupation, to land-for-peace, to humanitarian aid, to total withdrawal, in its quest for peace. With this history in mind, observers may ask, isn’t this recent war in Gaza just another chapter in the apocryphal “cycle of violence”? What can Israel do differently? What is it about this conflict with this particular enemy that presents the potential for peace, at last? For Israel, a prerequisite to peace is victory. And in achieving it, they must make an example of terrorist thugs who menace Jews and Muslims alike, including their own, long-suffering people. In Canadian parlance, Israel must expose Hamas like a weak goaltender. Show them and their would-be recruits, as well as those of Hezbollah in the north, that the job satisfaction and benefits package for Iranian dupes are thin. Changing hearts isn't always about holding hands. Sometimes, it means extreme attitude realignment, accomplished with explosives. For Israel, this is such a time. Set aside the notion that Hamas and its fellow-travelling radical Islamists have any claim to a divine cause. Hamas' strategy for attaining a ceasefire without offering concessions is to bring about enough casualties among Palestinian civilians, achieved by storing rockets and weapons caches under hospitals and schools, such that Israeli strikes will kill innocent people and sway world opinion. Any god who would be alright with that has no business being worshipped. Dismiss, also, the popular idea that Hamas’ attacks are somehow about land. We are four years removed from Israel’s complete withdrawal from Gaza, yet Hamas has continued to lob rockets at Israeli towns – 3,000 of them in 2008 alone. For Hamas, the bar for victory is relatively low. To win, they must accomplish two aims: survive, and attain some measure of international legitimacy. This second ambition may take the form of the opening of its waterways and crossings with Israel and Egypt, two countries with excellent reason not to trust Hamas. Egypt’s President Hosni Mubarak, now prominently involved in ceasefire discussions, well remembers that it was Muslim radicals who assassinated his predecessor, Anwar Sadat, in 1981, and Mubarak himself has been on the business end of several such attempts. Hamas and their ilk are demonstrably dangerous not only to Israelis, but to anyone of whom they disapprove. An encouraging sign is that, for the moment, the Israeli people and leadership seem united in their resolve. Even prominent political figures who have embraced the land-for-peace experiment in the past, or the 2005 Israeli pullout from Gaza, such as President Shimon Peres and Foreign Minister Tzipi Livni, today speak matter-of-factly of their country’s intention to see this current campaign through to its end. But to do so, Israel finds itself in a ghoulish race against time. To wit, they must accomplish their objectives before civilian casualties, largely engineered by Hamas, turn domestic and international opinion against the operation. Military experts here suggest that the aims of Israel’s ground offensive against terrorist leaders will require weeks. For the sake of the Palestinian people, and for the freedom of all nations that stand against tyranny, one hopes that Israel will have the time and will to win its peace.